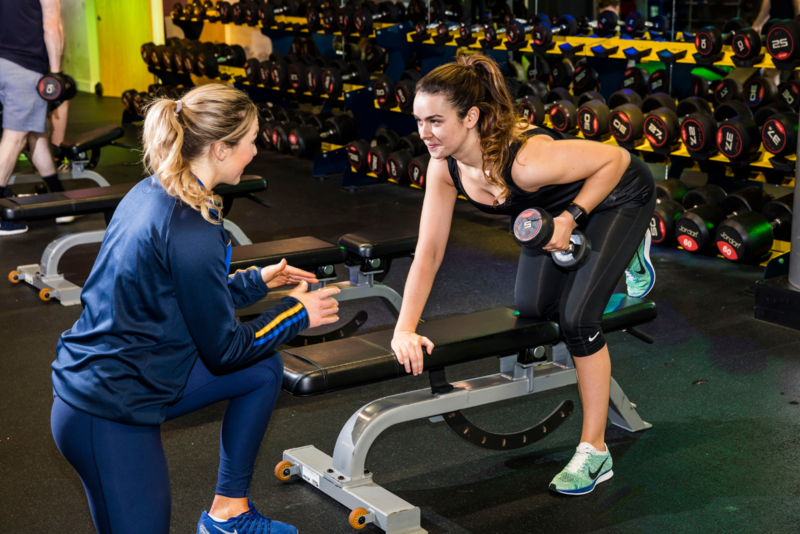 DKIT Sport’s 4 day Plan – Personalise Your Fitness & Nutrition Program! Join DKIT Sport now and avail of our brand new 4 Day Plan! We are here to provide you with a complementary ‘4 Day Plan’ so you can get the results you want when you want them! After six weeks of monitored training in DKIT Sport we can guarantee you will start seeing the results you want. As long as you are a member with us here at DKIT Sport we are committed to giving you the best service our trainers and centres can provide. Contact us to enquire about membership right here. DKIT Sport full membership includes use of the gym, pool, health suite and group exercise classes 7 days a week. Upon membership sign up, our team will take you through your own personalised fitness plan and complete regular assessments to ensure your personal goals are being met. You will receive an introduction to the gold standard Precor equipment and shown how to use the various machines necessary for your personalised programme. Why to join DKIT Sport? 1. Friendly, highly qualified team. Our friendly, motivational team are at hand to point you on the right path and begin your journey on the road to maximum health and fitness results. 2. Excellent facilities & Equipment. The wide range of facilities and large selection of group exercise classes allow you to experience a variety of fitness facilities all under the one roof. Our gold standard equipment is state of the art! Our team provides a personalised fitness plan to put you on the right path to achieving your health and fitness goals. Your journey with DKIT Sport begins with a one on one assessment with our highly qualified instructors and will include regular follow up assessments to keep you on track. This zone caters for team sports and as well as being the first of its kind in County Louth it’s one of the best in the country. The design is based on what you would see being used by professional teams all over Europe and we expect teams to travel far and wide to use this area for training. Our ultra-modern pool and health suite facilities provide a soothing ambience and offer a 20m swimming pool, Jacuzzi and steam room. Ideal to sooth, cleanse and relax your muscles after a strenuous workout. Parents of little tots are entitled to use our FREE Kidz Drop Off service in the club every Saturday morning between 10.00am and 11:30am. You can go for a swim or a quick work out or just enjoy a hour to yourself in the Jacuzzi completely on us. Our party host will entertain you child with games story’s and more activities to keep them occupied while you do your thing!